We are coming down to Belize again in Spring and are thinking about a part-time residence/rental home. 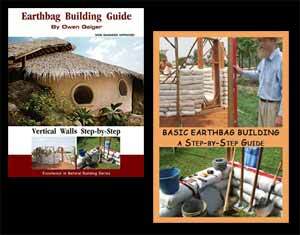 I have read a few things about this earthbag type construction — well-insulated and cheaper than ‘typical’ construction. We are looking at places not too far from Placencia. Are you a person/contact that can provide some input or be a person that could help us make this happen? Hey who are the folks from Cambridge Ontario. I live in Kitchener and would love to connect with them.